NOW FULL SUPPORT FOR macOS High Sierra! 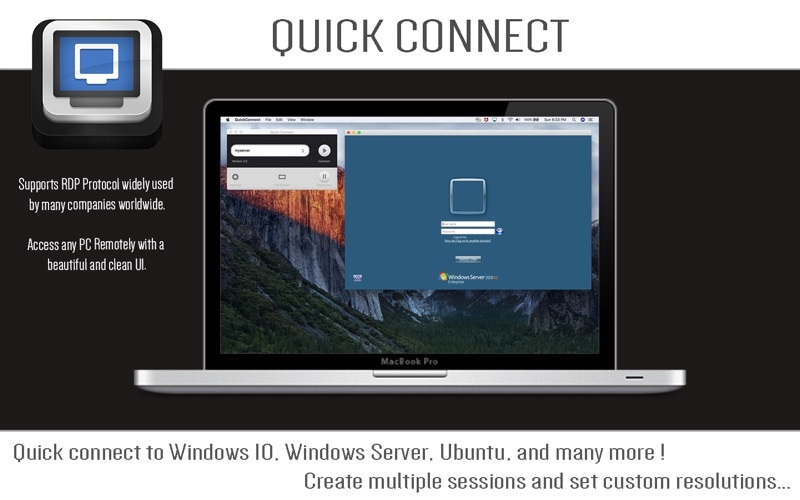 Quick Connect is just not a remote desktop application like all others, instead is a highly performing RDP app that allows you to connect quickly from anywhere to a desktop or laptop running most version of windows such as XP, Windows Vista, Windows Server 2008, Windows 10, Windows Server 2018, 8, 8.1, Ubuntu and more. 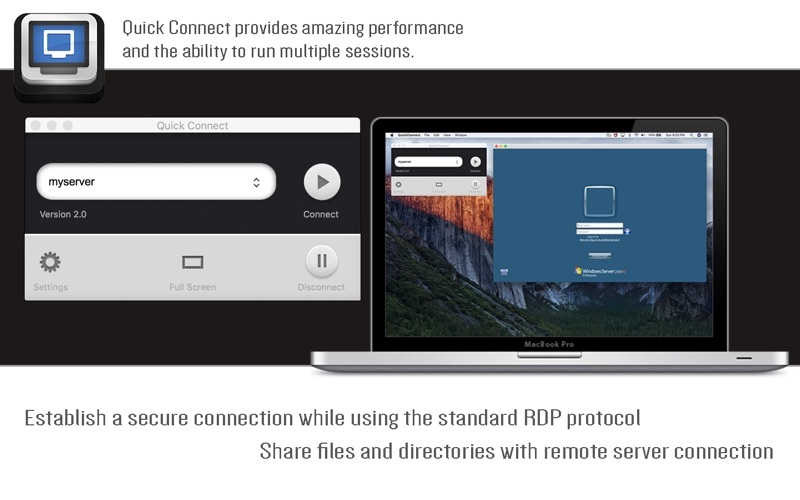 Quick Connect also allows to keep a session in your preferred resolution, change your screen resolution as you like and use all of our amazing hot keys to simplified your user experience. Quick connect not only open a remote session but also protects your information through encryption mechanisms to protect your information. FAST / SECURE / AND VERY STABLE way to access your windows operating system remotely. We use the most advance technology to deliver a product that brings your windows os into your MAC as if you were natively running the operating system.